Leapster game cartridges. 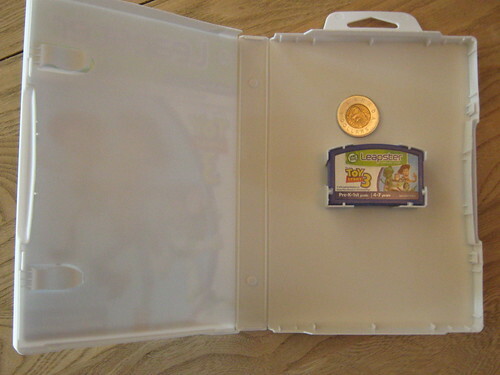 Here is a photo of one of the games Santa tried to stuff into my sons Christmas stocking with a $2 coin for comparison. and here is the actual size of what was contained inside that package. What a bloody waste. I wish the Grassroots Recycling Network was still doing their annual excessive packaging awards. 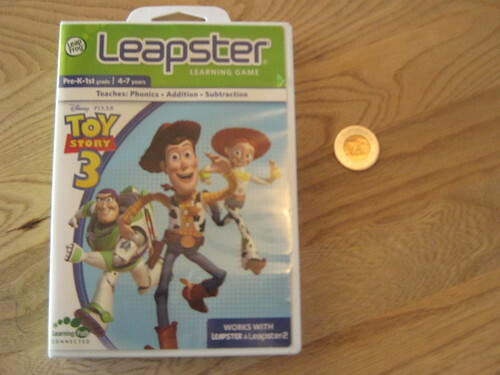 I would be nominating Leapster. Love your games. Hate your packaging. This entry was posted in Media, Advertising and Pop Culture, Uncategorized and tagged games, leapster, Packaging, toys. Bookmark the permalink. I wouldn’t be surprised if it wasn’t :).